2014 is racing to its conclusion quicker than expected and has left us with some incredible memories along the way. In our end of year review, we look at the best of the year from a South African sport perspective with our international review coming later this week. We have to kick off the year with the sport team that has ultimately inspired the country the most with a string of fine performances. After falling out of the CHAN that we were hosting and getting hammered 5-0 by Brazil at home, Gordon Igesund was facing the chop. Two away draws against New Zealand and Australia did not save him and he ultimately was axed. Disillusionment with the the national team had risen to an all time high. Shakes Mashaba was given the post for the fourth time under extreme criticism of SAFA going for the “Cheaper Option”. What has followed is 7 successive undefeated games (4 wins, 3 draws), a top spot qualification for the AFCON and a run that eliminated Nigeria. Pride is slowly starting to restore under Mashaba who is not scared to pick youngsters, as seen by his selection of Rivaldo Coetzee. The biggest challenge for Shakes is that he is raising the expectation of a hungry country. We cant talk about football, Bafana Bafana or AFCON qualifiers without sparing a thought about Senzo Meyiwa. The outstanding stand-in skipper had been imperious for Orlando Pirates as well as for Bafana Bafana. His death was a horrible reminder of what wrong with our country, his career was a greater reminder of the unifying nature of sport in South Africa. In our local football Kaizer Chiefs had both hands on the PSL before gifting it to Pitso Mosimane’s Mamelodi Sundowns. Chiefs have responded with emphatic style going undefeated through the half way stage of the 2014/15 League under the supreme tutelage of Stuart Baxter. In cup football Gordon Igesund has begun his resurrection by winning the Telkom Knockout in a sensational final against Platinum Stars and Kaizer Chiefs defeated their Soweto rivals thanks to a shoulder in by Tefu Mashamaite. The Nedbank Cup has also got underway with all teams looking to replace the 2014 Champions Orlando Pirates. There of course have also been a host of changes in coaching like Clinton Larsen, who moved from Celtic to Martitzburg United to replace Ernst Middendorp, moving from Maritzburg United to Bloemfontein Celtic to replace Ernst Middendorp. Yes that really happened. The only constant is that Jomo is still at Cosmos. Of course credit must also go where it is deserved. In a year that Janine van Wyk reached 100 caps for Banyana Banyana and Portia Modise become the first ever African player to score 100 International goals, Banyana have made progress. They will however look back on 2014 with disappointment after once again missing out on qualification for the World Cup by losing the bronze medal match at the African Championships. Heyneke Meyers Team started the year with a less than impressive jailbreak against Wales but consolidated with a thumping victory against Scotland. They entered the Rugby Championship with hopes of a title but started with 2 matches that would end with relief rather than hope. Two narrow escapes then led to a narrow defeat as ridiculous refereeing aided in. But a penalty was not kicked out from Morne Steyn and that ultimately led to his dropping from the side. A good display against New Zealand lifted hope again which was followed by a fine display in beating the Aussies and New Zealanders at home. The end of the year tour was meant to underline the World Cup potential, but losses to Ireland and Wales along with a horrific injury to captain Jean de Villiers left the team trying looking for answers in the year ahead. The Blitzbokke finished 2013 with the Nelson Mandela inspired win in Port Elizabeth and then started 2014 by winning the USA Sevens by beating old foe New Zealand in the final. A place in the final was also gained in NZ and Japan before a loss of form saw the Blitzbokke finish well off of NZ in second place. The 2014 Series however has started with a powerful start with a fourth placed finish in Australia followed by a win in Dubai and defending the title in Port Elizabeth this past weekend. The Dubai win was the first one there since 2008, while the win in PE was the first time SA have ever defended the crown at home. The 2014 Super Rugby was won by the Waratahs in a brilliant final. South African interest was ended when the Sharks lost in the Semi Finals. South Africa’s year was pretty poor with the Bulls in 9th our second placed team. The 2014 Currie Cup was a much better display that led to Lions vs. Western Province down in the cape. It was a game memorable for the poor kicking performance of Marnitz Boshoff that led to the Lions losing out. 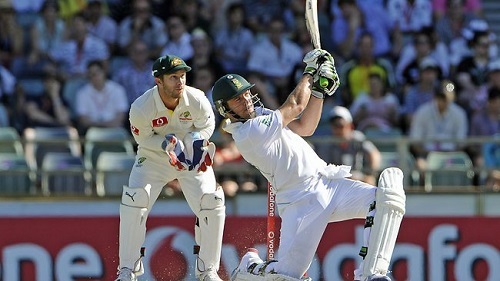 The Proteas started 2014 with a three test series against Australia which saw the Proteas lose 2-1. We also lost the T20 series ahead of the T20 World Cup. The T20 World Cup itself saw us play in Australian yellow, but still fall short by losing the Semi-Final to India. Surely the highlight of the season was going to Sri Lanka and winning both the ODI and Test Series. After winning our sixth and most recent test match (yes we have only played six so far this year) in Zimbabwe, a good mix of youth and experience won the tri-nations series (a tournament format far too under-used). With the focus on ODI’s ahead of the World Cup, the Proteas beat NZ in an ODI Series before losing to Australia in both shortened versions of the sport. Although the Proteas have endured a lack of Test Matches, they end the year as the top team in the world by a distance in the most important form of the sport, but all eyes will be on the World Cup next year, with a few places up for grabs still. Of course the magic of the year will be the Under 19 Cricket World Cup where a South African cricket team won a cricket showpiece. Under the tutelage of Ray Jennings the Junior Proteas shone and finished off Pakistan in a largely one-sided final. The Momentum One Day Cup has barely run in 2014 with only the first stage running and the Cape Cobras running away with the competition. The RAM Slam of course took place and that was inspired by the Caught Red Handed campaign for the new series. The West Indies added to the strength of the competition with Chris Gayle and Kieron Pollard showing their brilliance. It was the Cape Cobras who ended victorious in a fantastic season beating the Knights in the final. A couple of gentleman ended with a share of R1 million for their one handed catches. The only place to talk about anything swimming has to be the sensational Chad le Clos. In le Clos, South Africa have a world class swimmer and an international athlete capable of dominating world sport. He was rightfully awarded the FINA Swimmer of the year and won the FINA World Cup for the 3rd time in four years. Graham Hill was announced as the 2014 FINA Coach of the year although he was once again overlooked for the SA Sports Awards. Other swimmers to shine in the year was the legend Roland Schoeman, Devon Myles Brown, Sebastien Rousseau and Cameron van der Burgh. The 2014 year was not the best golf year for South Africa, there were still some wins along the way. Dawie van der Walt won the Nelson Mandela Championship while Louis Oosthuizen won the Volvo Champions in Durban. George Coetzee broke his European tour duck by winning the Joburg Open before Thomas Aiken won the African Open. We then had to wait until August before Hennie Otto won the Italian Open. On the other side of the Atlantic things have not been as fruitful with Tim Clark being our sole winner in the Canadian Open. In the majors South Africa amassed only 2 Top 10 finishes for the whole year, namely Charl Schwartzel (7th in the Open) and Ernie Els (7th in the PGA). It was a year with two major competitions for South African Hockey, the Commonwealth Games and the World Cup in the Hague. South Africa entered the World Cup as the bottom ranked nation. 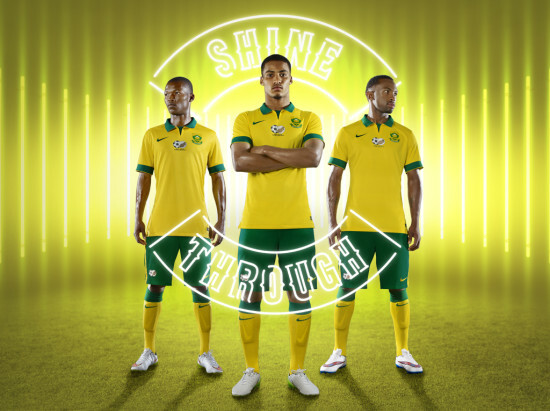 The men would be aiming to attempt to repeat the 10th placed finish at the 2010 World Cup. They would have to do so with a new coach as lack of funding leading to Charlie Perreira resigning and Fabian Gregory being appointed months before the show piece. A draw with Korea was the only bright spark during the group stage before Justin Reid-Ross finally delivered in the 11th place playoff. The ladies snatched a win against England and beat Japan in the 9th place playoff. To the Commonwealth Games the teams would head to next. The men would finish a respectable 5th and the ladies 4th. The year however would end on a low as Giles Bonnett decided to not renew his contract with the ladies side and Investec did the same. What lies ahead for SA Hockey is surely uncertain times. South African tennis only has one player with talking about and he does not really like us that much. 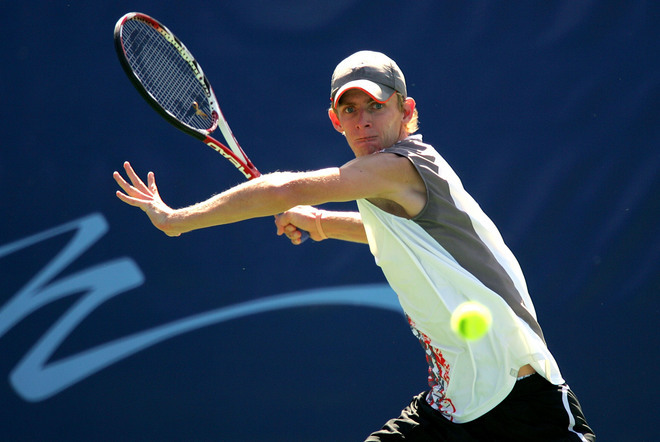 Kevin Anderson had a fine year we he made it to the second week of the Australian Open, French Open and Wimbledon. He also threw in a few victories over Stanislas Wawrinka, but its best we dont talk about Thomas Berdych. In Davis Cup South Africa lost their Round 1 match against Monaco before having to battle Lithuania to stay in Group II. The decline has been pretty consistent, but against Turkey in March South Africa will have the opportunity to start the long road back to Group I. Our best hope must surely be getting Kevin Anderson involved somehow. South Africa embarked on Scotland for the 2014 Commonwealth Games and were set a target of 43 medals for the multi-sport showpiece. They would fall just short of this, but collect 40 medals in the progress, 13 of which were gold, leaving South Africa 7th in the overall table. Highlights were Chad le Clos and his 7 medals, the Lawn Bowls team winning 5 gold medals, the Blitzbokke winning gold and of course Khotso Mokoena winning gold in the triple jump. It was an outstanding fortnight that saw many lesser known South Africans like Richard Murray, Zack Piontek, Colleen Piketh and Prince Neluonde get their well deserved time in the media spotlight. EFC had a great year as the announcement was made that EFC Africa had become EFC Worldwide, opening the door for the local series to include the best and brightest from around the world to fight here. But if we are to talk about EFC we can only begin with Fight Fit Militia. The Richard Quan led gym held four titles at the same time this year with Norman “Chef” Wessels, Garreth “Soliderboy” Mclellan, Boyd Allen and Demarte “The Wolf” Pena all holding their respective titles. Garreth became the first man to win the same title twice and Demarte became the first man to win a title at two different weights. Of course Ruan Potts gave up his heavyweight title to fight in UFC on a six fight contract, unfortunately he has lost the first two but will have a new chance against Derrick Lewis at UFC 184. And Soldierboy, arguably the face of the sport of EFC in South Africa, has also now relinquished his title to go fight in the UFC in 2015. Good luck Garreth! What was your highlight of 2014 from a South African point of view. Let us know?